To reduce the risk of coronary heart disease, lowering levels of bad cholesterol (low density lipoprotein / LDL) is not enough. 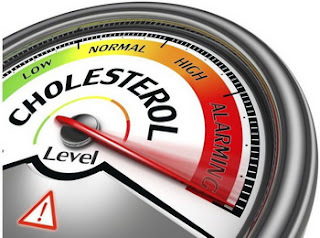 You also need to increase the levels of good cholesterol (high density lipoprotein / HDL). If the LDL is responsible for the formation of crust in the artery wall, then, HDLs do the opposite. HDL Cholesterol arresting and removing it from the body. It acts as a savior, the more HDL you have, the better. The main source of cholesterol are foods that contain fat. Foods containing lipids such, trans fats, hydrogenated oils, saturated fats and some tropical oils, is a type of fat that should be avoided because it may increase levels of LDL. While olive oil, nuts, grains and oilseeds, unprocessed vegetable oils and non-hydrogenated oil is the choice of the best fat you should consume each day. Check your cholesterol levels: Cholesterol-check, particularly for those aged over 20 years. From this examination will be known whether the levels of HDL, LDL or trigleserida you are in normal or high levels. Starting exercise: Do aerobic exercise training program that begins with practice for 20-30 minutes five times a week. If you are doing 30 minutes of exercise in one session felt heavy, divide into two sessions. Increase the duration of exercise gradually. Reduce your body weight: It has a thin body weight, does not make you free from cholesterol problems. But obesity is not just to reduce levels of HDL but also increase LDL levels. Therefore always keep your ideal weight. Quit smoking: If you smoke, quit. Smoking will reduce levels of HDL, anyway smoking is the only risk factor for heart disease that can be prevented. Healthy intake: Get rid of fast food, and multiply intake of antioxidants like fruits and vegetables. In addition, increase your HDL levels by regularly consume food sources of omega-3 fatty acids. Drug treatment: If you have risk factors for heart disease and should significantly increase HDL levels, consult your doctor about the possible need for medication. Avocado: Avocado is a fruit that has a high fat content. But you need not worry, because in addition to the savory flesh, avocados have good fat (HDL). Lutein in avocados is believed to help improve the quality of eye health and chlorophyll content is a source of antioxidants. Pure coconut oil: Coconut oil can be the best choice as a healthy dessert menu. Although the usefulness of coconut oil still studied, but the benefits have been recognized as a potent anti-bacterial, rich in vitamin C and E and iron. Some research even indicates, coconut oil can help weight management, because it reduces the stress on the endocrine system. Fish: Some types of fish contain fat that is good for health. Salmon, sardines, herring, mackerel and tuna are the kinds of fish that contain omega-3 fatty acids. Fats in fish are needed to help growth, development of brain function, and reduce the risk of cardiovascular disease. Omega-3 fatty acids can also be found in marine plants such as krill, algae, some plants and nut oils. Omega-3 fatty acids can help reduce bad cholesterol (LDL), increase good cholesterol (HDL), reduce inflammation and reduce the risk of heart disease, cancer and type 2 diabetes. EPA (eicosapentaenoic acid) and DHA (docosahexaenoic acid) is a fatty acid type omega-3, found in fish oil to reduce the risk of abnormal heart rhythms that lead to sudden death and heart disease, according to a study at the University of Maryland Medical Center. Nuts or legumes: beans are a source of nutrients that protect your health. People who eat nuts regularly had a lower risk of dying from heart attack and stroke than those who ate the least, according to studies at Harvard School of Public Health. Agency for Food and Drug Administration, USA (FDA) even claimed, the consumption of foods that includes one ounce of nuts every day can reduce the risk of heart disease. Most nuts contain high levels of bad cholesterol (LDL) is low and is able to increase the good cholesterol. Walnuts, for example, contain omega-3 fatty acid that protects you from the deadly abnormal heart rhythm and blood clotting. Some examples of types of nuts that contain omega 3 are peanuts, red beans, almonds and walnuts.